On January 11, 2019, Access National Corporation (Access or the Company) and Union Bankshares Corporation (Union) issued a joint press release announcing the receipt of regulatory approvals from the Federal Reserve Bank of Richmond and from the Virginia State Corporation Commission to move forward with the proposed merger of Access with and into Union. The joint press release announcing the receipt of regulatory approvals is attached as Exhibit 99.1 and is incorporated herein by reference. In connection with the proposed acquisition, Union has filed with the U.S. Securities and Exchange Commission (SEC) a Registration Statement on Form S-4 (File No. 333-228455) that includes a joint proxy statement of Union and Access and a prospectus of Union (the Joint Proxy/Prospectus), and each of Union and Access may file with the SEC other relevant documents concerning the proposed transaction. The definitive Joint Proxy/Prospectus was first mailed to the shareholders of Union and Access on or about December 13, 2018. Investors and shareholders of Access and Union are urged to read carefully and in their entirety the Registration Statement and Joint Proxy/Prospectus and any other relevant documents filed with the SEC by Access and Union, as well as any amendments or supplements to those documents, because they contain important information about the proposed transaction. 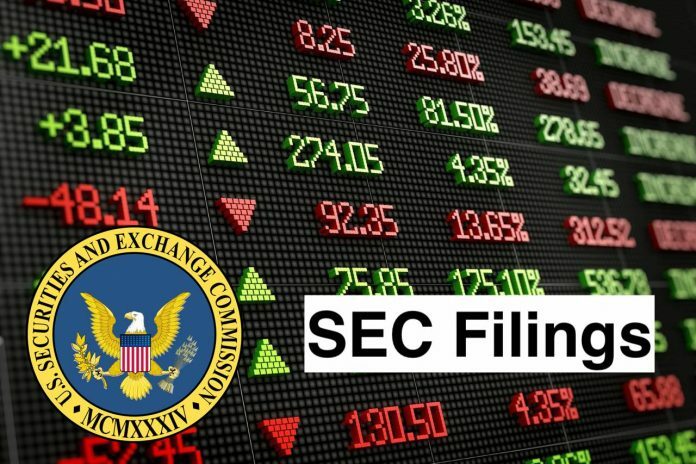 Investors and shareholders may obtain free copies of the Registration Statement and the Joint Proxy/Prospectus and other documents filed with the SEC by Access and Union through the website maintained by the SEC at www.sec.gov. Free copies of the Registration Statement and the Joint Proxy/Prospectus and other documents filed with the SEC also may be obtained by directing a request by telephone or mail to Access National Corporation, 1800 Robert Fulton Drive, Suite 300, Reston, VA 20191, Attention: Sheila Linton (telephone: (703) 871-2100) or Union Bankshares Corporation, 1051 East Cary Street, Suite 1200, Richmond, Virginia 23219, Attention: Investor Relations (telephone: (804)633-5031), or by accessing Accesss website at www.accessnationalbank.com under Investor Relations or Unions website at www.bankatunion.com under Investor Relations. The information on Accesss and Unions websites is not, and shall not be deemed to be, a part of this Form 8-K or incorporated into other filings either company makes with the SEC. Access, Union and their respective directors and certain of their executive officers and employees may be deemed to be participants in the solicitation of proxies from the shareholders of Access or Union in connection with the proposed transaction. Information about the directors and executive officers of Access and their ownership of Access common stock is set forth in the proxy statement for Accesss 2018 annual meeting of shareholders, which was filed with the SEC on April 12, 2018. Information about the directors and executive officers of Union and their ownership of Union common stock is set forth in the proxy statement for Unions 2018 annual meeting of shareholders, which was filed with the SEC on March 21, 2018. Information regarding the persons who may, under the rules of the SEC, be deemed participants in the proxy solicitation and a description of their direct and indirect interests, by security holdings or otherwise, is contained in the Joint Proxy/Prospectus and other relevant materials filed with the SEC when they become available. Free copies of these documents may be obtained as described above. Certain statements in this Form 8-K may constitute forward-looking statements within the meaning of the Private Securities Litigation Reform Act of 1995. Forward-looking statements include, without limitation, projections, predictions, expectations, or beliefs about future events or results and are not statements of historical fact. Such statements also include statements as to the anticipated impact of the Union acquisition of Access. Such forward-looking statements are based on various assumptions as of the time they are made, and are inherently subject to known and unknown risks, uncertainties and other factors that may cause actual results, performance or achievements to be materially different from any future results, performance or achievements expressed or implied by such forward-looking statements. Forward-looking statements are often accompanied by words that convey projected future events or outcomes such as expect, believe, estimate, plan, project, anticipate, intend, will, may, view, opportunity, potential, or words of similar meaning or other statements concerning opinions or judgment of Access or its management about future events. Although Access believes that its expectations with respect to forward-looking statements are based upon reasonable assumptions within the bounds of its existing knowledge of its business and operations, there can be no assurance that actual results, performance, or achievements of Access will not differ materially from any projected future results, performance, or achievements expressed or implied by such forward-looking statements. Actual future results, performance or achievements may differ materially from historical results or those anticipated depending on a variety of factors, including but not limited to, changes in asset quality and credit risk, changes in interest rates and capital markets, competitive conditions, the businesses of Access and Union may not be integrated successfully or such integration may be more difficult, time-consuming or costly than expected, expected revenue synergies and cost savings from the proposed acquisition may not be fully realized or realized within the expected time frame, revenues following the proposed acquisition may be lower than expected, customer and employee relationships and business operations may be disrupted by the proposed acquisition, the diversion of management time on acquisition-related issues, changes in Unions share price before closing, risks relating to the potential dilutive effect of shares of Union common stock to be issued in the proposed transaction, the ability to obtain shareholder or other approvals or other conditions to closing on a timely basis or at all, the ability to close the proposed acquisition on the expected timeframe, or at all, and that closing may be more difficult, time-consuming or costly than expected, the reaction to the proposed acquisition of the companies customers, employees and counterparties, and other risk factors, many of which are beyond the control of Access and Union. We refer you to the Risk Factors and Managements Discussion and Analysis of Financial Condition and Results of Operations sections of Accesss Annual Report on Form 10-K for the year ended December 31, 2017 and comparable risk factors sections of Accesss Quarterly Reports on Form 10-Q and other filings, which have been filed with the SEC and are available on the SECs website at www.sec.gov. All of the forward-looking statements made in this Form 8-K are expressly qualified by the cautionary statements contained or referred to herein. The actual results or developments anticipated may not be realized or, even if substantially realized, they may not have the expected consequences to or effects on Access or its business or operations. Readers are cautioned not to rely too heavily on the forward-looking statements contained in this Form 8-K. Forward-looking statements speak only as of the date they are made and Access does not undertake any obligation to update, revise or clarify these forward-looking statements, whether as a result of new information, future events or otherwise. Access National Corporation is a bank holding company. The Company operates through its subsidiary, Access National Bank (the Bank). The Bank provides credit, deposit, mortgage services and wealth management services to middle market commercial businesses and associated professionals, primarily in the Washington, District of Columbia Metropolitan Area. The Bank offers a range of financial services and products, and specializes in providing customized financial services to small and medium sized businesses, professionals and associated individuals. The Company operates through three segments: traditional commercial banking, mortgage banking and wealth management. Its commercial banking segment includes loans, investment securities and deposit services. Its mortgage banking segment includes mortgage loans held for sale, sales of loans in the secondary mortgage market and loan origination. Its wealth management segment includes portfolio asset management.